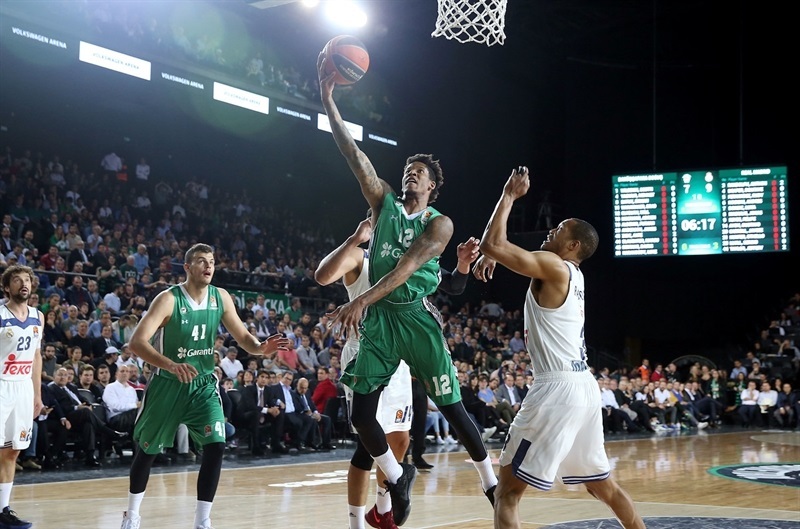 Real Madrid defeated Darussafaka Dogus Istanbul 81-88 on Wedensday night at Volkswagen Arena to grab a 2-1 lead in their best-of-five series. 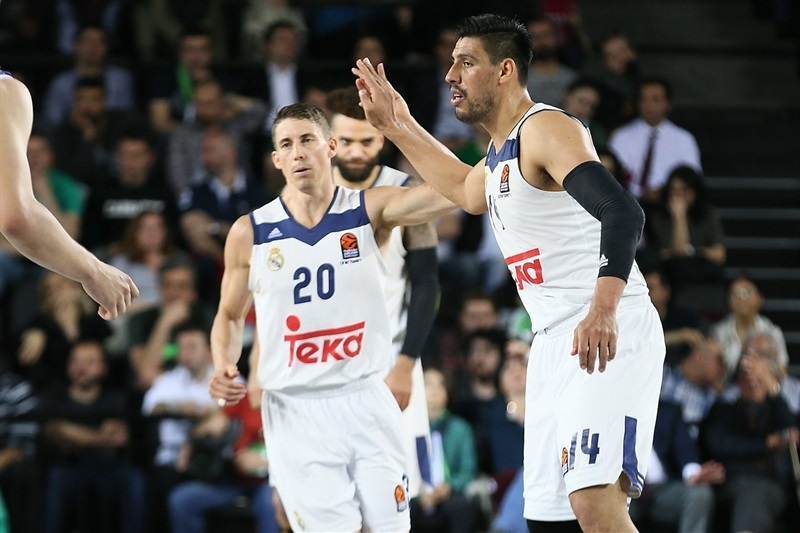 The victory restored Madrid’s home-court advantage, with the Game 4 scheduled for Friday night at the same venue. Madrid took control with 2-16 first quarter run and enjoyed a balanced attack for most of the night with five scorers in double figures. 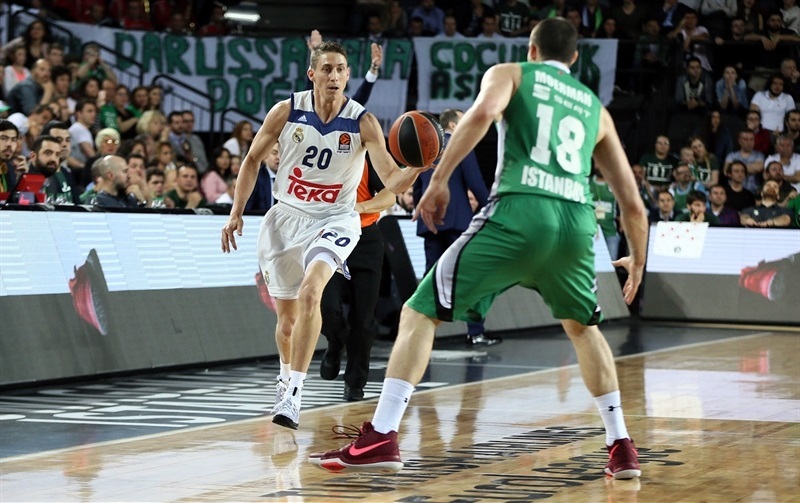 Jaycee Carroll opened the game 5-for-5 from three point range, and finished with 21 points. Gustavo Ayon was big inside with 18 points, 9 rebounds, 3 assists and 2 steals. 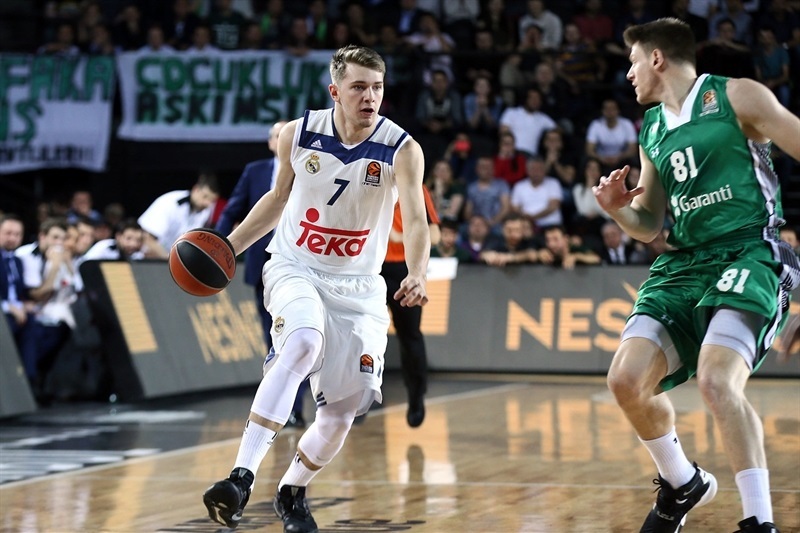 Luka Doncic had 13 points and 8 rebounds, while Sergio Llull and Anthony Randolph scored 12 apiece in victory. 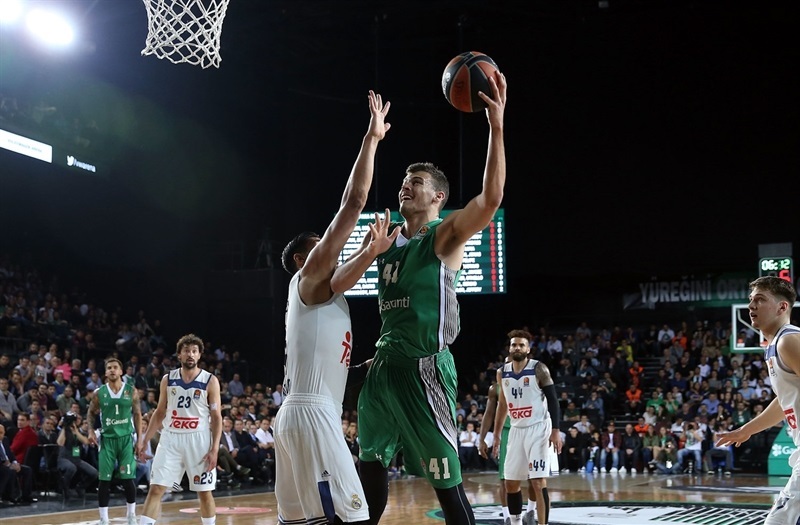 Ante Zizic paced Darussafaka with 20 points. 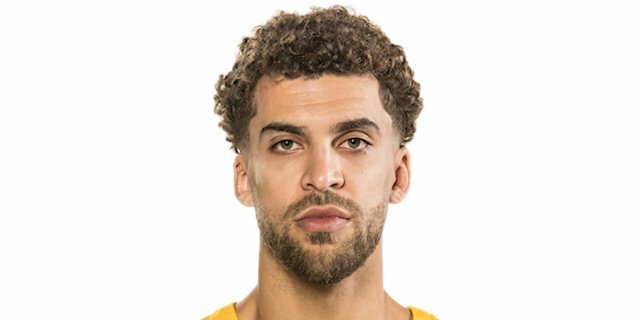 Scottie Wilbekin netted 18 points on 4-for-6 three-point shooting, Brad Wanamaker had 13 of his 17 points in the second half and dished 9 assists and Adrien Moerman scored 11 in defeat. Madrid opened the game with its offense clicking on all cylinders. 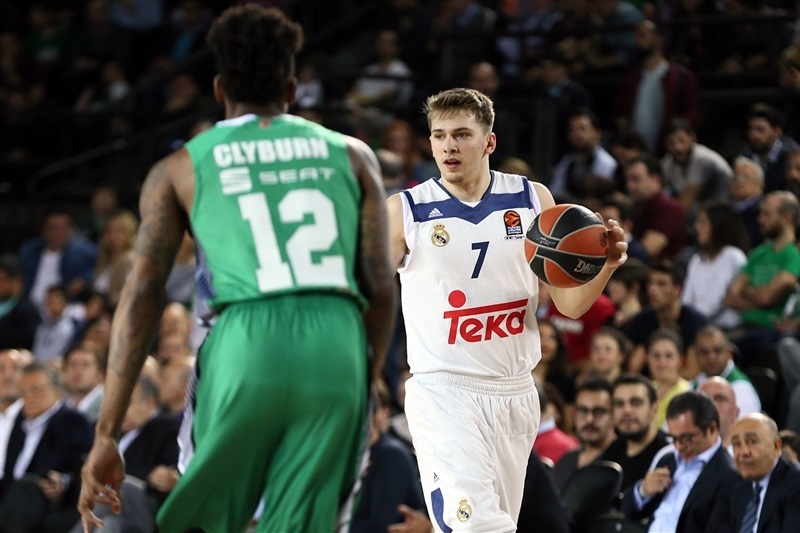 Will Clyburn and Zizic had Darussafaka in touch for first few minutes, but Doncic hit a pair of threes and Randolph was strong inside and with his mid-range shots as Madrid scored 9 consecutive points to cap a 2-16 run and open an 11-25 lead late in the first quarter. 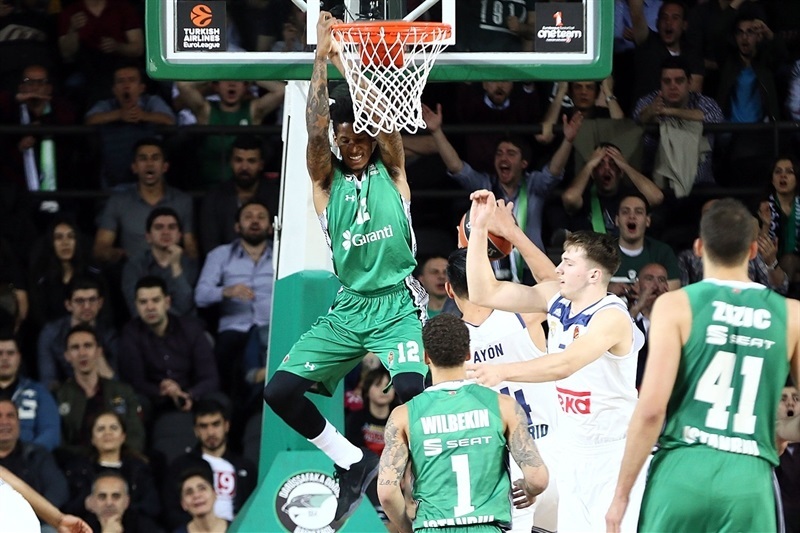 The hosts scored 6 quick points to close within 17-26 after 10 minutes and Zizic scored more inside at the start of the second quarter. 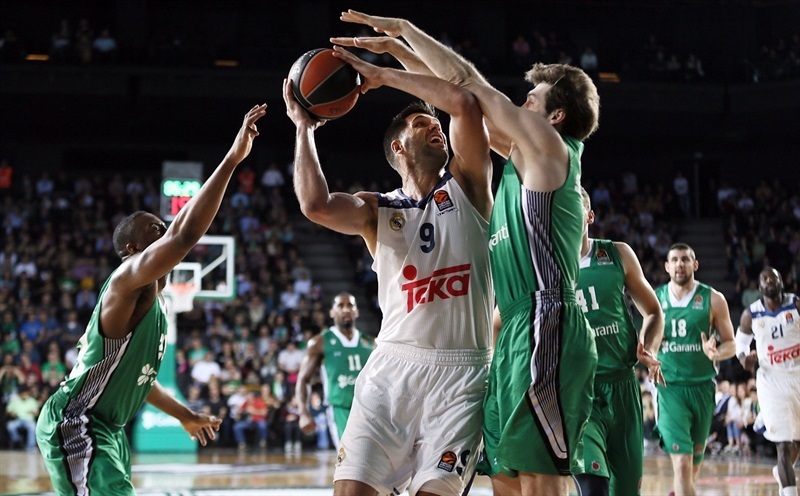 But Carroll hit back-to-back threes and Llull added a tough baseline jumper and a long triple to make it 27-41. 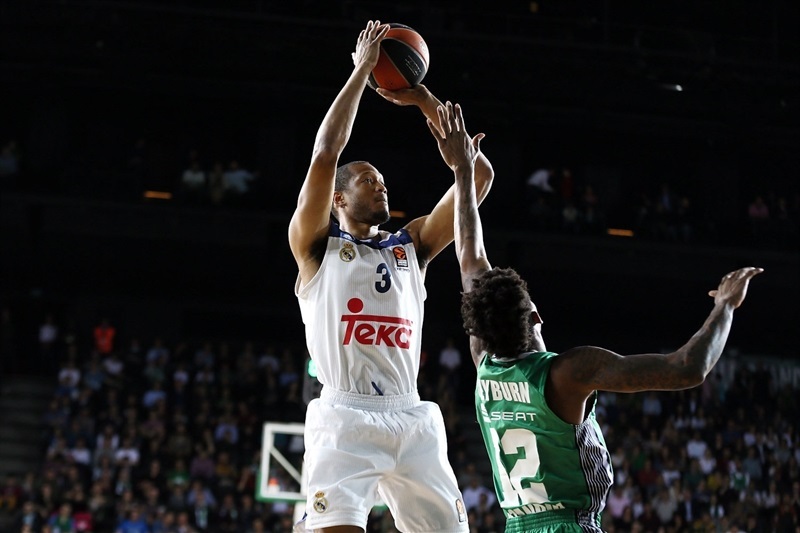 Wanamaker was kept scoreless for the first 15 minutes before he had a basket that cut the margin back to 10, but Carroll hit another three that helped open a 15-point advantage before Madrid went into halftime ahead 33-46. 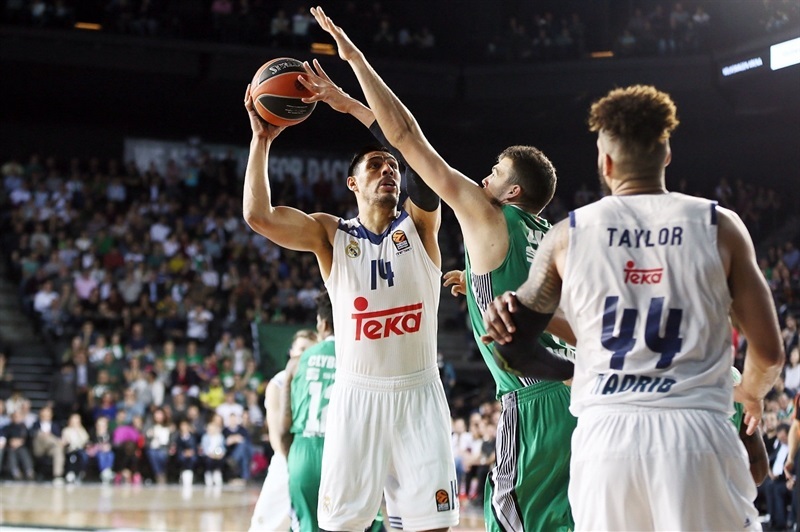 In the third quarter, Madrid continued were it left off. 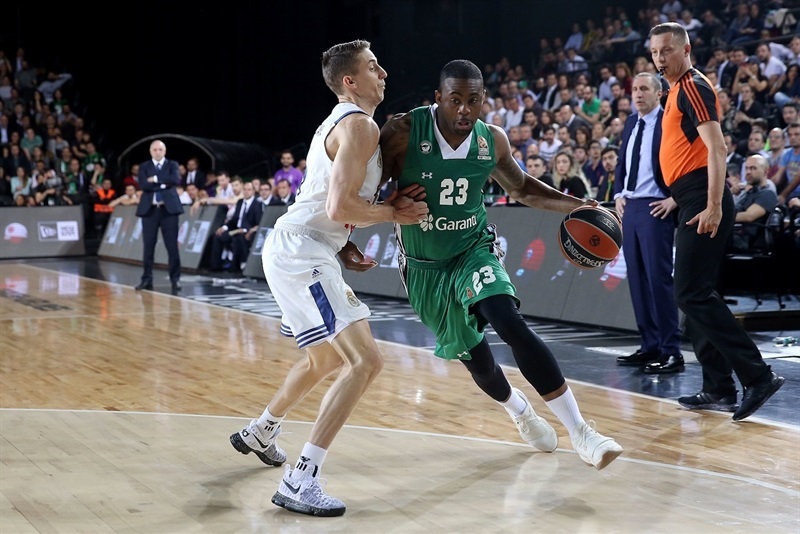 Doncic had a tip-in, Ayon scored twice inside and Randolph from the outside to for a 37-55 cushion. 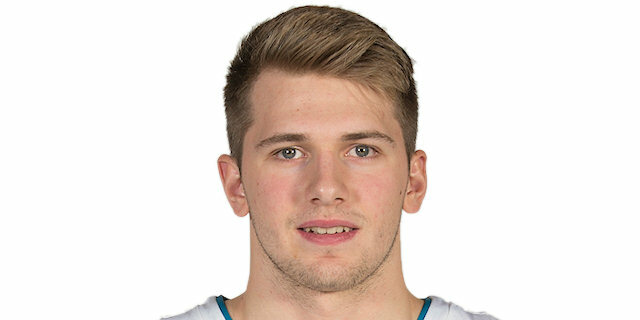 After Moerman sparked a 7-0 run, Carroll connected twice more from long range and Doncic fed Ayon inside to make it 49-68. 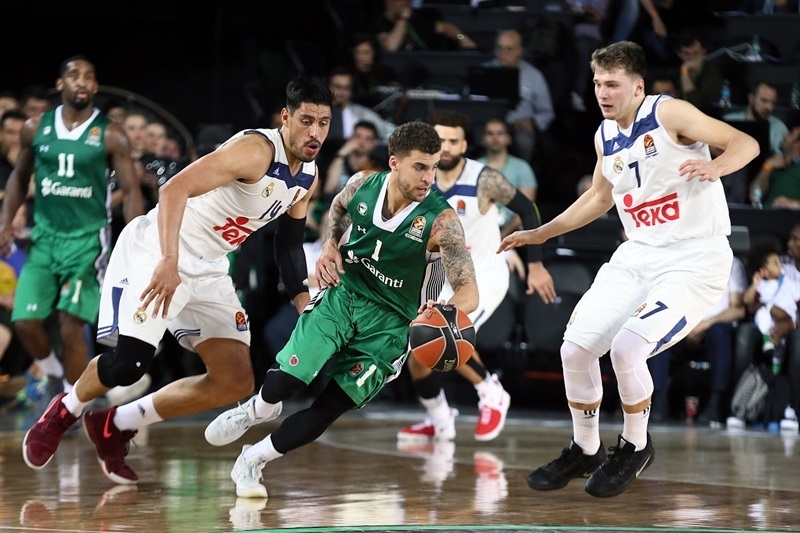 But Wilbekin made a pair of tough triples and Zizic added a three-point play to get within 58-70 at the end of third and Wanamaker scored 9 points early in the fourth to make it 74-77 midway through the fourth. 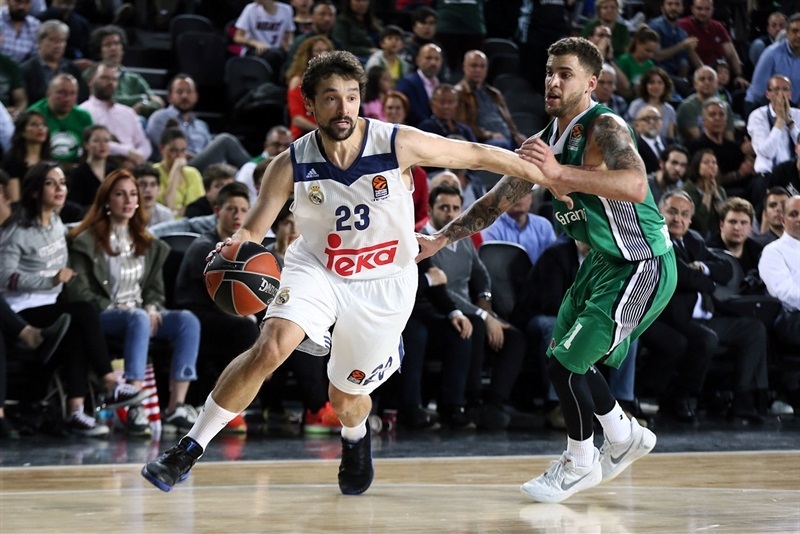 But, Madrid scored the next 8 points to restore breathing room and Llull sealed the outcome with a pair of baskets. "Congratulations to Real Madrid. We did not play well enough in the first half to give ourselves a fair chance to win that game, and then we chased the whole second half. We got close, but we never really got on top of the game and when you don’t do that against a team as talented as Madrid, you are going to lose, and that’s what happened. With the exception of the fourth quarter, we did not defend anywhere near the level that we usually do or that we are capable of. And we paid the price for that. 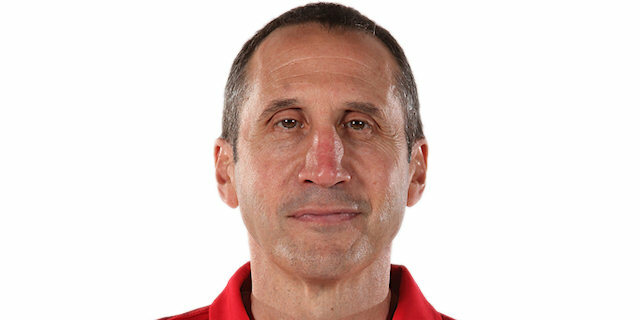 When we did, we did not finish the job on defensive rebounds, and that really hurt us. No excuses, this is playoffs, Friday is another day. We did not come out with any kind of aggressiveness that is typical of our team. We did not defend well at all in the first half, and that is an understatement. And we paid the price. In the fourth quarter we were getting beat, we had to respond. But we waited too long. We laid it out there in the second half, but it was too little, too late." "First I want to congratulate my team on victory. It was a very tough game, We had a good advantage on scoreboard, playing very solid offensively and defensively. 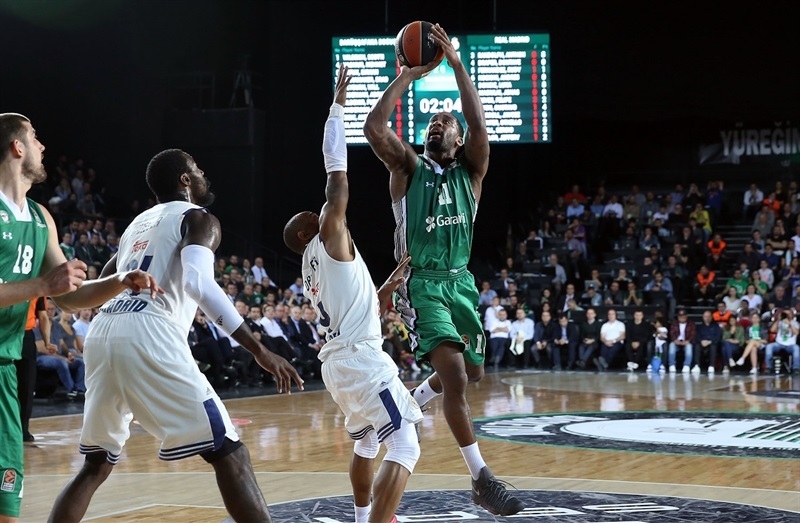 But we knew Darussafaka is a team that always fights back. The have good shooters, they made very difficult shots, and they came back in the game. But the good thing about my team is we kept our composure and managed to decide the game in our favor. Happy for victory, but we know it is only one win; we have another game on Friday. " "We started out really slow. Shots weren’t falling and we didn’t play good defense in the first half. We were just a step slow, we came out soft. Probably we played the worst half of the series. In the second half we tried to come back. We almost did, but we had some down plays. Today sometimes the ball didn’t bounce our way and we lost." "It was a tough game. We let them have the first punch and it was hard to catch them. It's now time to bounce back. We got another game on Friday. 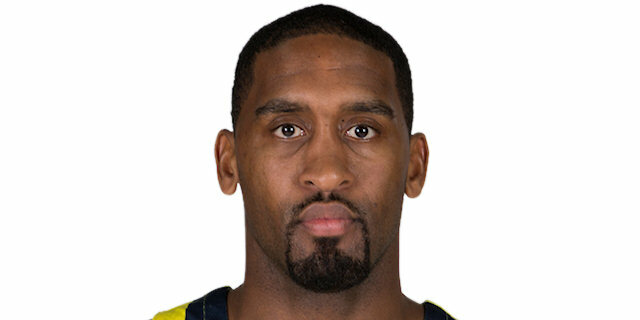 We have to show we are tougher team and slow them a bit to play our game." "It’s a very important win for us, now we are up 2-1, but we have not done anything yet. We need to win the third game and go to the Final Four. It’s an amazing feeling, I did not play good in the first two games, I played good now; it is an amazing feeling for me that I got better."